If you maintain a beard or thinking of growing one, the most important step is knowing how to hydrate your beard to give it a healthy and well groomed look. When you moisturize your beard, you are not only strengthening the hair but most importantly the skin beneath. Not hydrating your skin will slow down the growth of the beard and can also cause an itchy feeling which is a common problem. I know a lot of people who like to maintain a beard but they get tired of the scratchy feeling, so they end up shaving it off. This can all be avoided by just following some simple steps and using specialized products for beard care. The conventional skin moisturizers cannot be used for your beard since a lot of these creams contain chemical components which can damage the fine hair of the beard and can leave it looking rough and hard to style. So, it is essential to use specific products made for beards. 1 What Kind of Products Do You Need to Moisturize Beard? 2 What Makes These Oils So Good To Moisturize The Beard? 3 How to Apply Beard Oil? 4 What Oil To Use? What Kind of Products Do You Need to Moisturize Beard? The best products to moisturize the beard are oils and balms. You can choose one or the other, depending on your preferences. Oils tend to be less greasy than the balms and in my case I prefer oils. Now, it may be a little overwhelming to see so many brands of oils in the market and this can make it difficult to choose which is the best for you. I was in a similar situation long ago and learnt through trial and error. I focused more on the ingredients and the scent of the product and tried some to make a final selection. What Makes These Oils So Good To Moisturize The Beard? These oils are formulated with natural and organic ingredients, making them very beneficial for our skin and our hair. A common component of these oils is Jojoba which is very hydrating and conditioning for the skin as well as hair. You will also find great components like Argan oil and Grapeseed oil which contain antioxidant properties. These give your hair strength and shine, and keep your skin well hydrated. It´s very simple to apply beard oil. Simply pour 4 or 5 drops of oil in the palm of your hand. If you have a longer beard, you may need a little extra quantity. Rub the oil in your hands and apply to your beard starting at the bottom and moving upwards. Apply the oil deeper reaching your skin to make it well hydrated, and finally apply it to your mustache. After the application, use a brush or a wide tooth comb to spread the oil evenly everywhere on your beard. Gently combing the hair will undo all the knots in the beard and leave it looking smooth and groomed. You can check our detailed review of various beard oils that we recommend and see the reviews of other users. What Are The Differences between beard oil and beard balm? 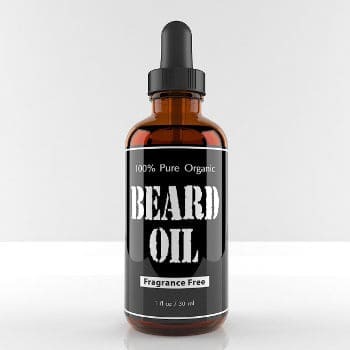 What Is Beard Oil And Why You Should Use It? How To Make Your Own Homemade Beard Oil?